Mirrors for the contemporary urban home. 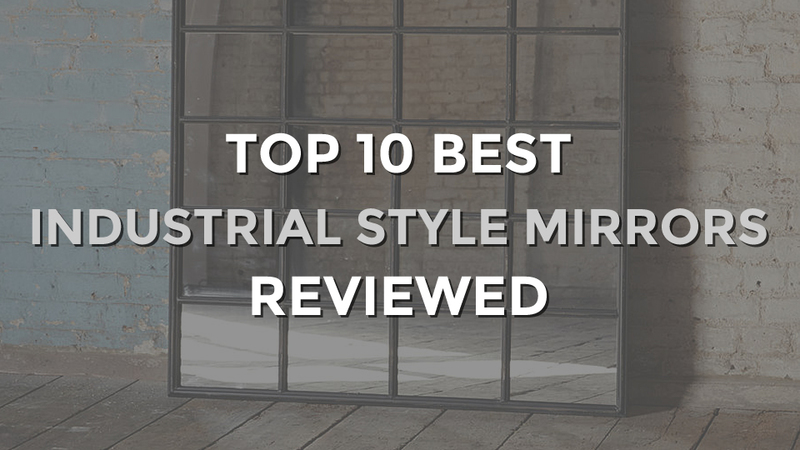 To create or complement an urban styled home, an industrial style mirror will help to finish that look. 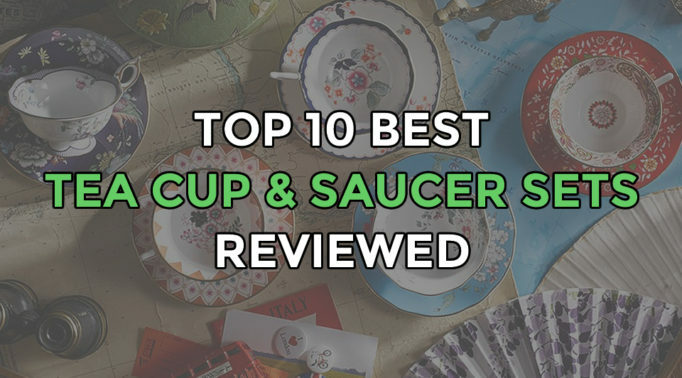 They’re usually designed with a metal frame that could be vintage or quite dark in style. Think iron wrought gates and it won’t be surprising if there is a mirror in that style. 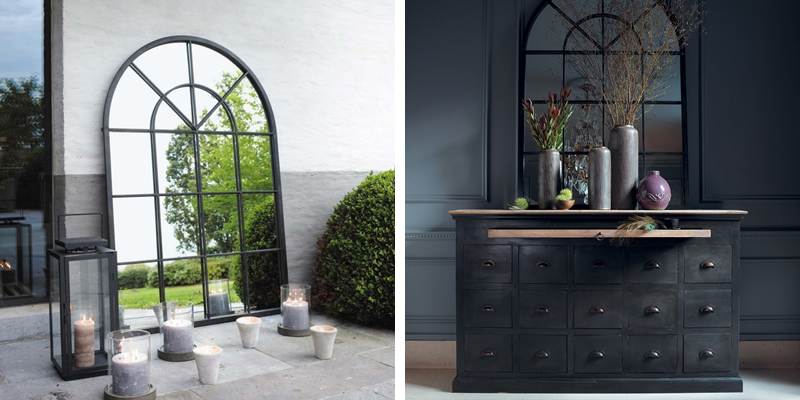 You could get some of the best industrial style mirrors to suit a heavily themed industrial home or garden or a subtle style to complement a more vintage home. If you’re still thinking of iron wrought gates, then this Orangerie Metal Mirror won’t let you down. With an almost full length size at 135cm tall, this arch shaped mirror with the windows design will create the perfect illusion of a bigger room by bringing more light in. Encased in a black metal frame, it would suit a gothic or industrial themed room. This mirror also comes in a white metal frame which would create a beautiful romantic and feminine feel to any room. It comes ready to hang with a well constructed metal bar complete with heavy duty handles which makes it suitable to be hung outdoors too. 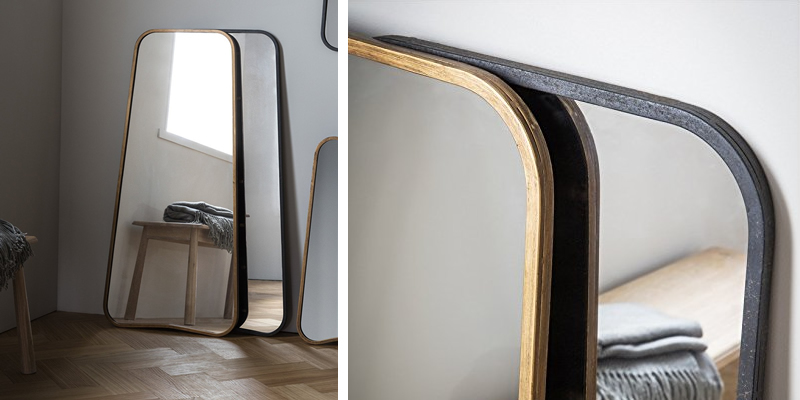 Framed with a distressed black wooden frame, the Nico Mirror by Mindy Brownes creates the perfect statement mirror with its gold stud embedded into the frame. Because of this, it gives the mirror a slight feminine feel to it making it suitable for an urban or industrial chic home. With its rounded shape and generous size of 73cm in diameter, it’ll look great in any room and be sure to stand out amongst your furniture and decor. The mirror feels sturdy and it’s finished to a good quality so there’s no need to worry about any of the gold studs falling out. Styled in a decorative window design, this Window Mirrors Accent Mirror by Emde is one large mirror consisting of nine even squares of ‘window’ mirrors. The overall size is 100 x 100cm, almost the same size as a real window. 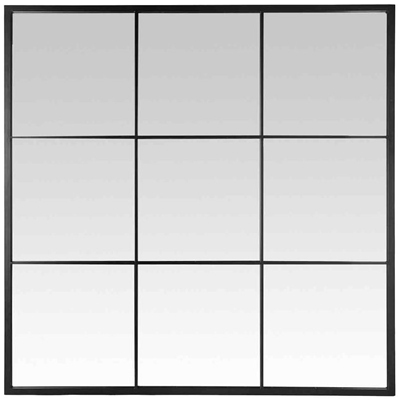 The black metal frames separating each square isn’t too wide so you can still see your reflection in the mirror quite well. 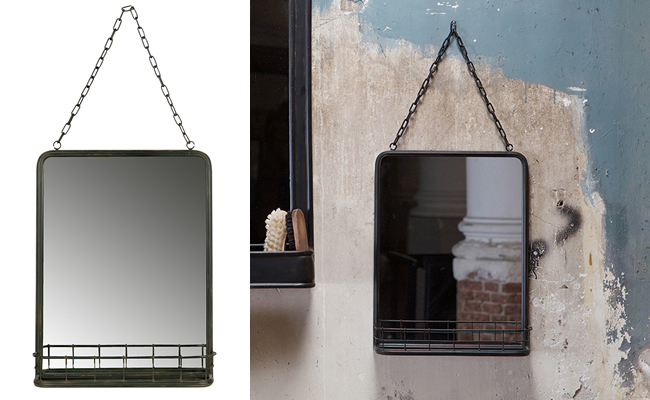 Finished with a thicker black metal frame, this mirror creates the perfect modern industrial style. This mirror is great for brightening up a room and to create the illusion of a window in a room that’s windowless such as the basement. 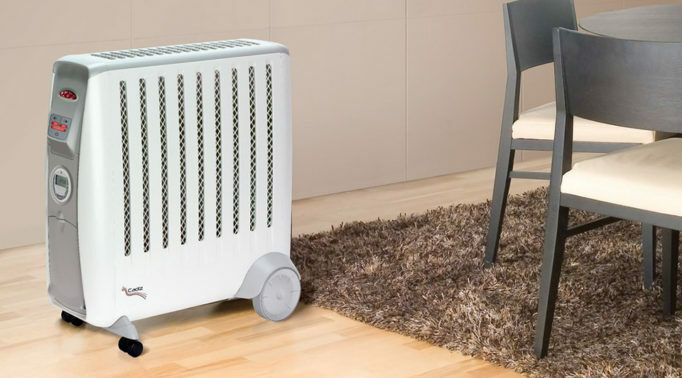 The price is quite steep but the given the design, size and build, it’s money well spent. Quite an unusual design, the Industrial Round Shelf Mirror by Garden Sculptures & Ornaments could be mistaken for a baking cake tin upon first glance. The frame is a deep circular metal frame in black which helps to give more of a focus on your reflection. Inside is a useful wooden shelf measuring 20cm in depth, offering plenty of room to store your favourite products all within reach. 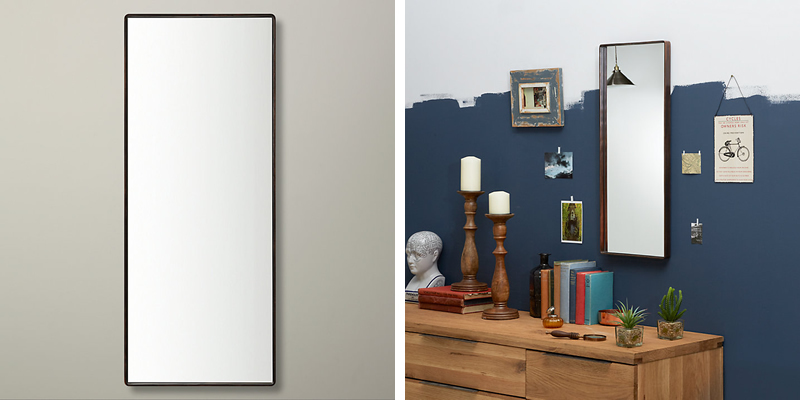 Although its frame is quite deep, the mirror is still able to provide a good amount of extra brightness to any room. 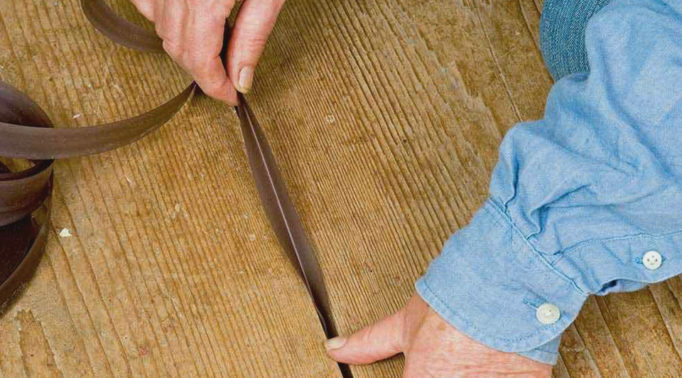 Because of its neutral frame colour, it will go well in the bathroom or hallway to give those areas a bit of interest. It almost has a nautical feel to it too as it’s quite similar to a window in a submarine. 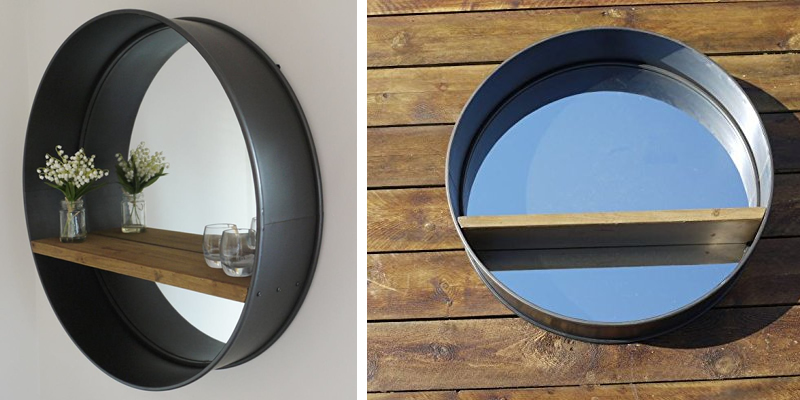 To create a cool looking urban home, the Kurva Mirror by Barcelona Trading can help to fulfil this task nicely. Its oddly shaped curved rectangle design is different to the standard mirror shapes making it ideal for a decorative piece too. 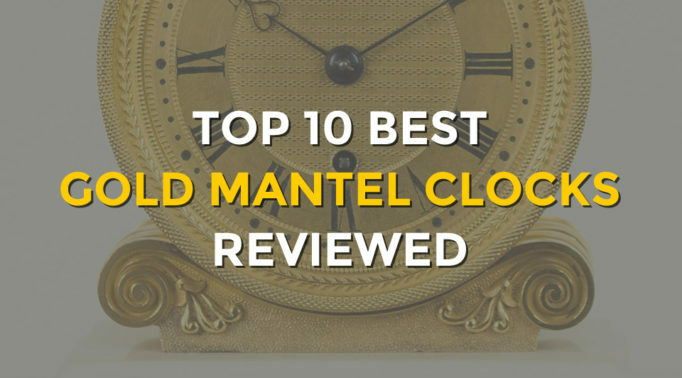 The frame is of an aged gold coloured metal frame which is thin so doesn’t seek to draw too much attention away from the rest of the furniture. Fitted with two sawtooth hangers at the back of the mirror, it comes ready to be hung. Or it could be left to lean against the wall in a truly fashionable urban style. When you look at the Speak Industrial Style Hanging Mirror, it looks almost like someone constructed it out of their old metal bed. That’s what makes this mirror so awesome. Its style is very retro with its black metal frame and looks fantastic in an industrial or urban themed home. There’s a handy basket which is part of the frame, to hold a few toiletries too. With its light weight, the mirror can be hung from its stylish black chain from just a single hook. It does take a bit of tweaking and tilting to get the mirror straight as is usual with all chained mirrors and frames. The John Lewis Rectangle Iron Mirror gives off a more subtle industrial style making it ideal for those who isn’t after a statement mirror. For a hanging mirror, it stands quite tall at 76cm enabling you to check yourself out from the head down to your waist. That makes it easy for guys to properly check their ties are a good length or for women to put their necklaces on easily. 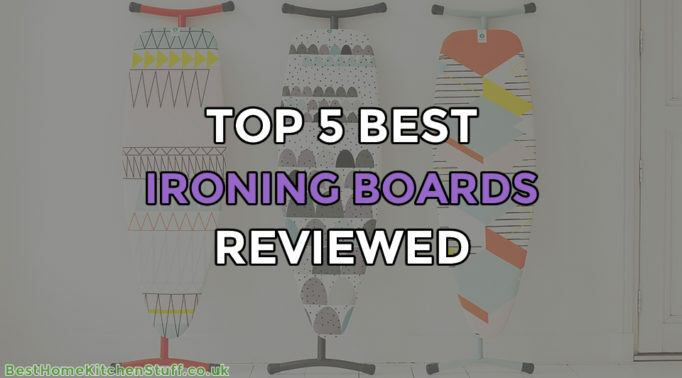 It can also be hung horizontally too as there are D-ring fixtures for hanging either way. 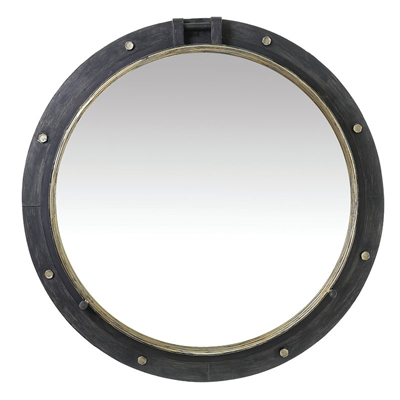 The frame of this mirror comes in a lovely rustic copper metal frame or in silver nickel. Considering the solid construction, the price for this mirror is pretty reasonable. Be warned, it’s quite heavy so will need to be hung with more than just a nail. Similar to another one of the best industrial style mirrors featured in this article, this Large Industrial Mirror with Shelf has a bit more of a neater design to give it that urban chic style. With its rounded corners on the ‘faded’ black metal frame and shelf, it softens what would have been a sharp industrial look so it has a more distressed quality feel to it. Having the slim shelf on the mirror makes it ideal to store your essential bits and pieces needed to get ready for the day (or bed!). 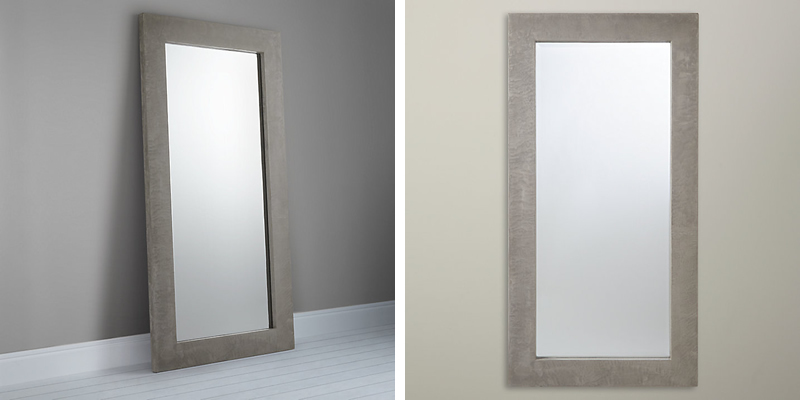 The quality of this mirror is great and it will look stunning in the bathroom. If you thought you read wrong, you haven’t. The John Lewis Concrete Leaner Mirror really is made from concrete. Well, the frame that is, the mirror is made from high quality glass. The wide concrete resin frame gives the mirror an uber urban chic style which looks great in any simplistic modern industrial decorated home. It’s no surprise this mirror is extremely heavy at 32kg so it’s probably best to have it leaning against the wall as is the intended style. For walls that are strong enough to handle the mirror’s weight, there are two D-ring hanging points and luckily, an anti-topple kit for extra security to the wall. Given its material, it should also be no surprise that this mirror comes at a hefty price but if it’s a concrete style you’re after and quality to boot, this is the mirror for you. Subtle and minimalist in design, this John Lewis Round Hanging Mirror sets out to complement your decor rather than make a statement no matter what size you get, whether it’s 30, 38 or 50cm. 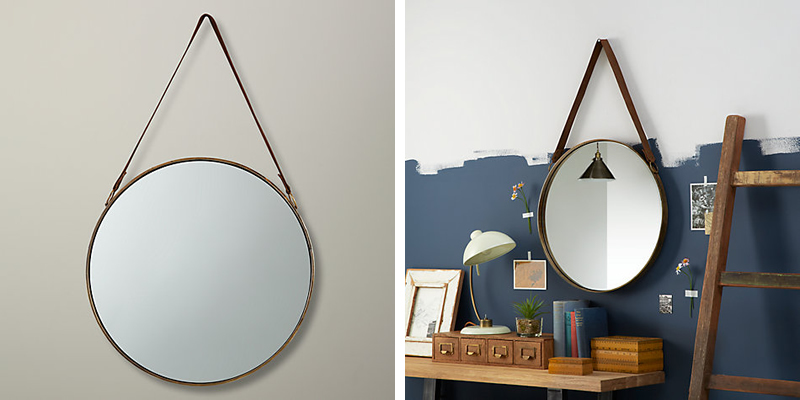 Fitted with a simple faux leather strap, the mirror can be hung from a nail or secured to the wall with the D-ring hangers on the back. The back panel is a wonderfully vintage wooden panel and the mirror’s frame is a rustic metal frame. 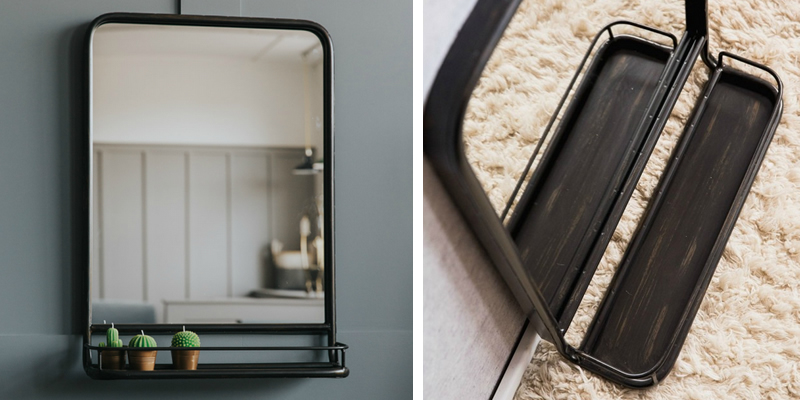 With three colours to choose from – brass, nickel and copper, you’re spoilt for choice for one of these best industrial style mirrors. You’ll find one to suit your current decor whether it’s a retro industrial style with copper or a chic industrial style with nickel.